Final Four Arrives in Downtown Minneapolis - Minneapolis Riverfront News - Minneapolis Riverfront Neighborhoods. With March Madness in full swing, the Final Four is right on our heels! Setup for this week's festivities have begun across downtown, including at The Commons, which will serve as an entry point to U.S. Bank Stadium. The NCAA is bringing more than just the big game to Minneapolis; check out the fan festival, music series and free practice games too! Click here for more information, including road closures and event times. 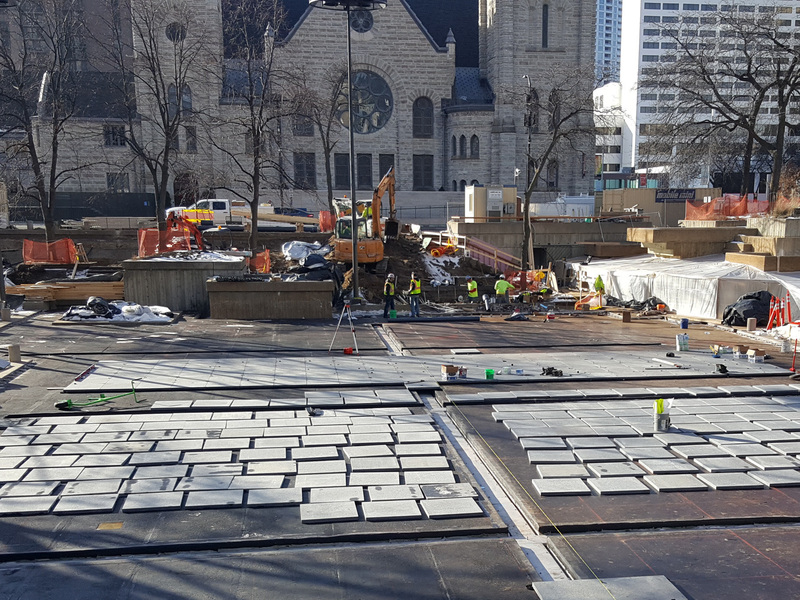 The new Peavey Plaza is on track to open summer 2019. To date, a new accessible ramp has been installed, the granite basin raised, and fourteen of thirty-five new trees planted. Work continues in the equipment room and on the plaza fountains. Learn more about the project. 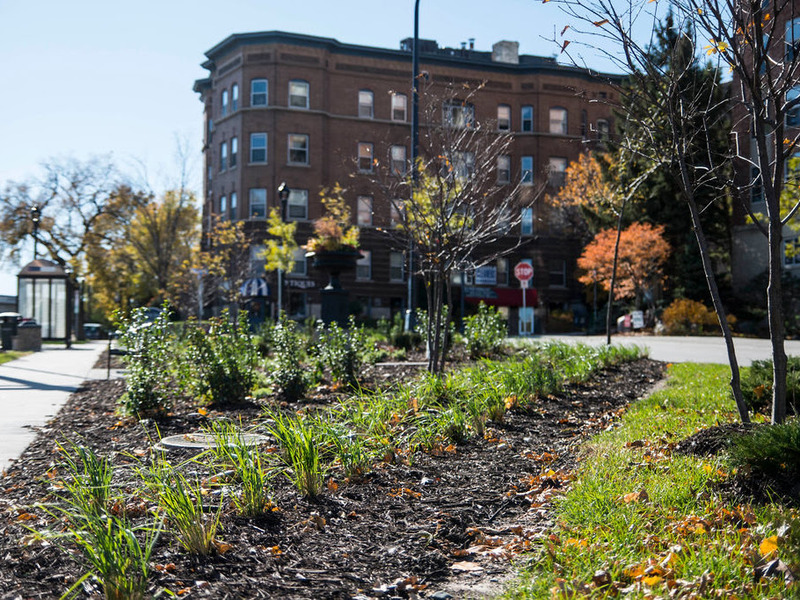 In 2018 Green Minneapolis partnered with MnDOT, neighborhood organizations and cultural institutions to transform the Hennepin-Lyndale Crossroads. This year Green Minneapolis will maintain the new plantings and look to expand the project's footprint north and south. 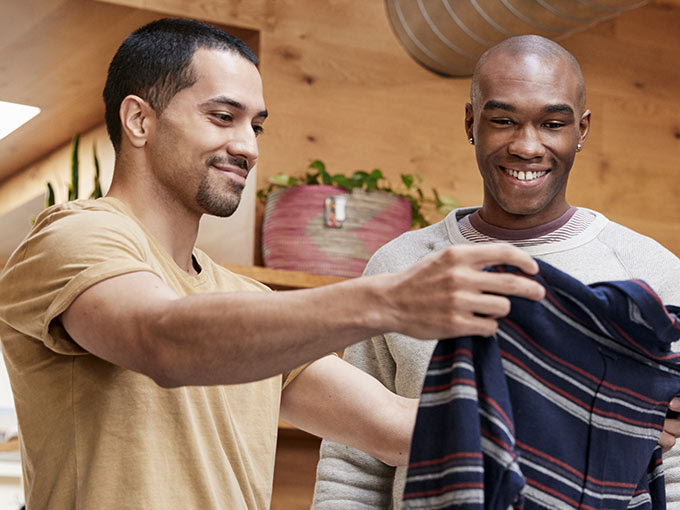 Now in Gaviidae Commons, visit four Chameleon Shoppes - short-term pop-ups with new treats, eats and retail from a rotating collection of local minority- and women-owned businesses. View shoppe retailers here.